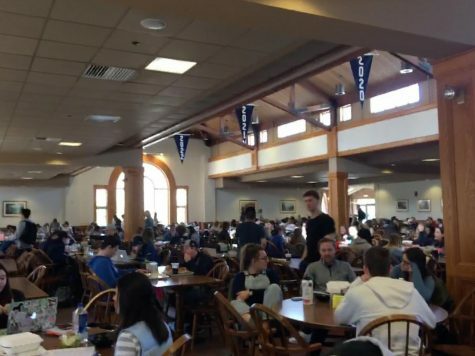 A little while ago, Dan Puopolo, Saint Anselm College class of 1998, reached out to The Crier on Facebook, explaining that he donates to the college every year, but was interested in learning what students wanted the money to go towards if they could have a say. However the suggestion with the most interaction was Housing. I recognize that housing has been a big topic over the past couple years, but I wasn’t sure if students were more interested in building more dorms or renovating the ones we have, so when the first suggestion simply said “Housing,” I asked followers for more specifics. Although there were a few comments about updating the existing buildings, an overwhelming number of students said and agreed with the need for more dorm buildings on campus. One student even mentioned the importance of grades living together in a specific section on campus and how living in an apartment is great practice for life after college. Saint Anselm College is lucky to have alumni willing to donate back to the school, especially when those Alumni are so interested in the wants and needs of the current student body. It will be interesting to see the reactions of this information.